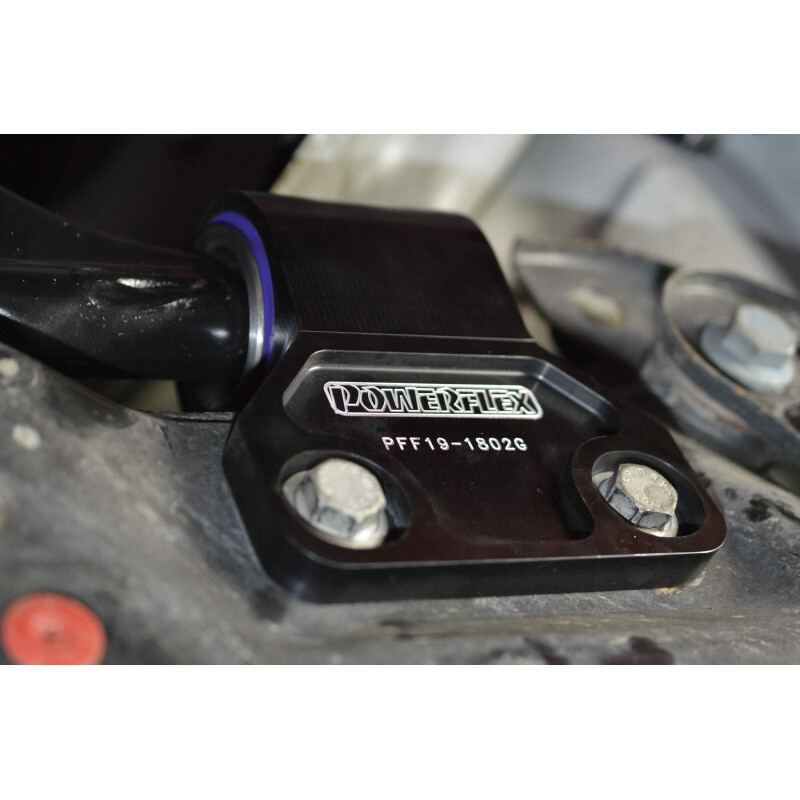 PFF19-1802G is is a CNC machined aluminium mount and polyurethane bush to provide 1 degree of positive caster offset and 7.5mm anti-lift properties. Focus ST and RS owners are all too familiar with the commonly reported torque steer effect of their vehicles. 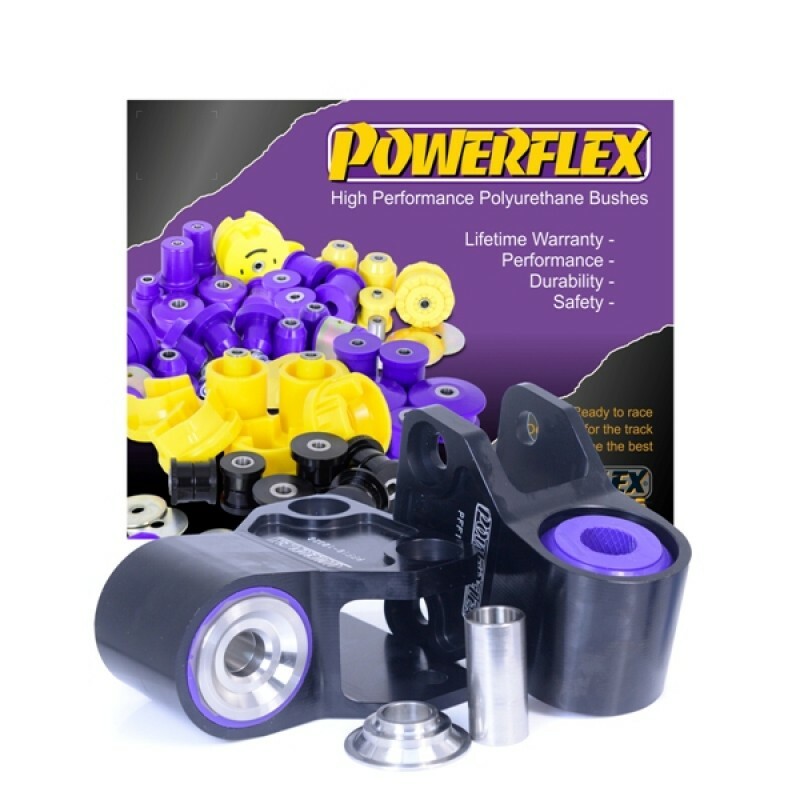 Our new part provides anti-lift and caster offset to improve handling characteristics and has been proven and tested on road and track. PFF19-1802G adds 1 degree of caster offset for a greater tyre contact area, which, in turn, provides greater feedback information to the driver, improves traction and offers greater stability. 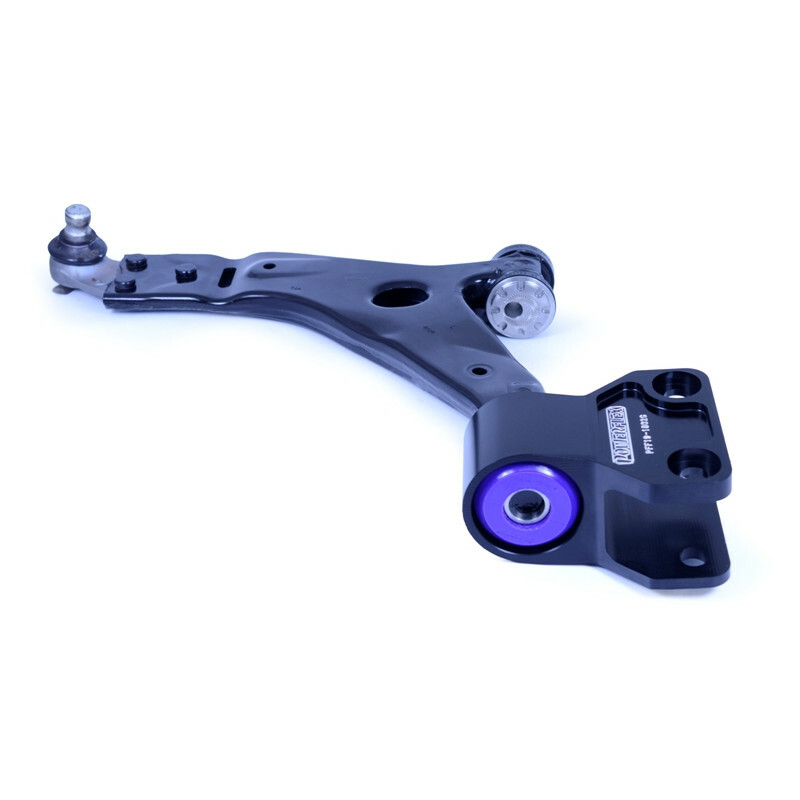 The increased caster angle produces more weight and detail to the steering which is vital to driver confidence, allowing your Focus to corner with more urgency, significantly improved grip and reduced understeer. Starting out as a 6082 T6 (heat treated) solid billet of aluminium, our CNC machining centre and 4th axis shape the material into our unique design which is then hard black anodized, followed by an engraving process. By machining from a solid billet, we ensure our part has the best strength to weight ratio and looks great too. 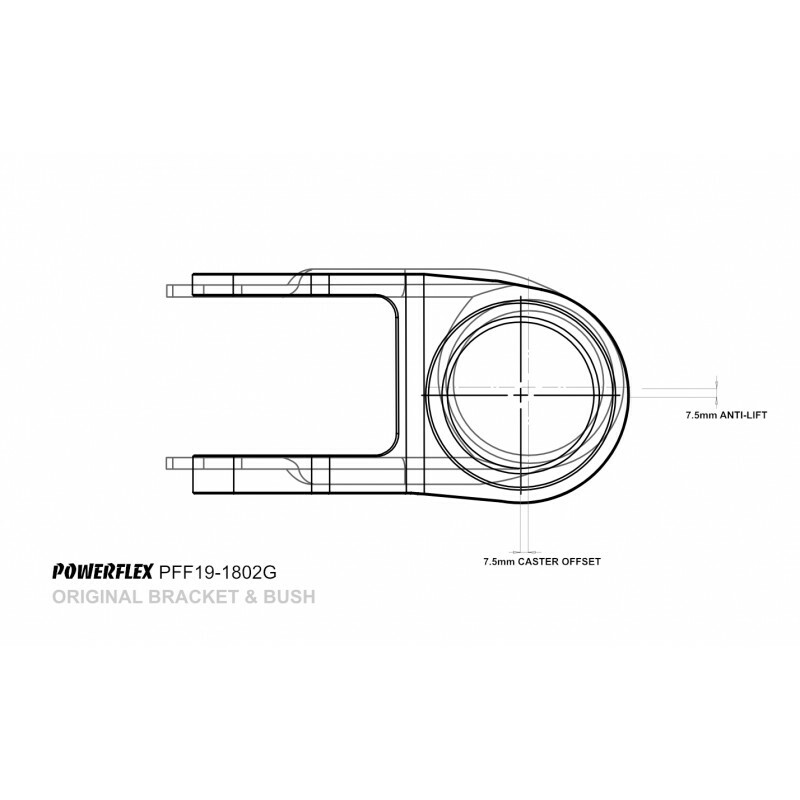 PFF19-1802G ships with CNC machined stainless steel-steel thrust washers to enhance braking stability.In our Purple Shore 80A Road Series material, PFF19-1802G is 10% stiffer than the original rubber bush, whilst our Black Series Shore 95A material is 85% stiffer than the original for those looking for a Track/Competition option.